KWizCom’s Workflow Activity Toolkit enhances the out-of-the-box SharePoint Workflow Activities, allowing users to better manage and follow workflow processes. The Workflow Activity Toolkit allows manipulating lists’ data (add, update and/or delete) across sites, removing the barrier imposed by SharePoint Designer where list actions are limited to the site the workflow was triggered in. Every organization has its structure and SharePoint usually reflects that structure in its design and implementation. In some cases each department in the organization will have its site collection, in others the division can be according to product lines or business units. All the implementations share the need to easily manage and follow different business processes across sites/site collections. For example, sales and inventory sites share a workflow, human resources and accounting, and so do research & development and production. 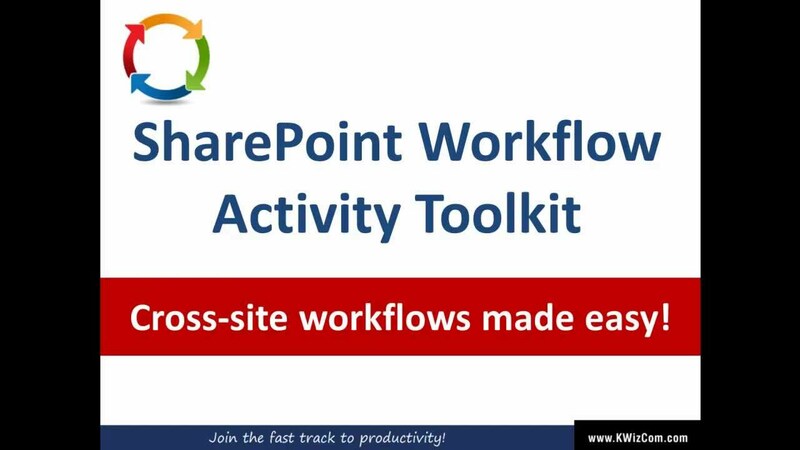 SharePoint Workflow Activities Toolkit provides the ability to implement such cross-site workflows.